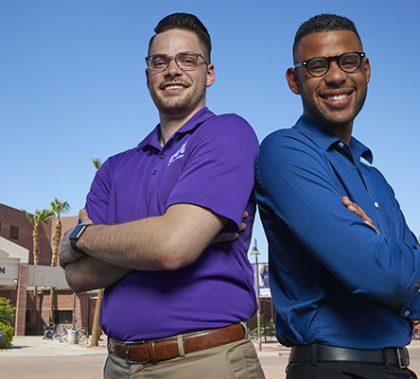 Grand Canyon University’s transition back to nonprofit status was done for a lot of reasons and means a lot of things, but it all keeps coming back to this: It’s for the benefit of the students. 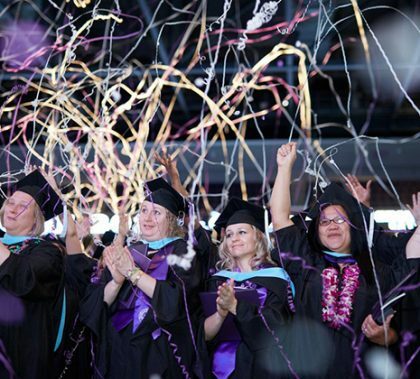 The four-year graduation rate for traditional students at Grand Canyon University has climbed to 58 percent for the 2014 cohort, while the graduation rate for online students sits at 65 percent. When the current management team assumed a leadership role at the University in 2008, those numbers were 40 and 48 percent, respectively. 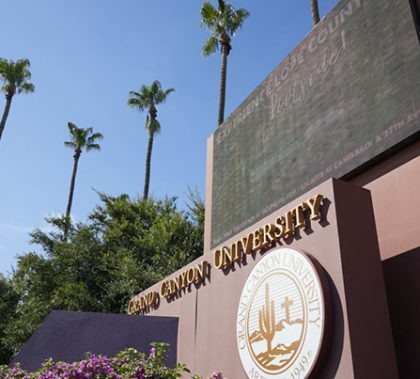 GCU will welcome approximately 7,200 new students to campus in August, bringing total enrollment to 20,500. 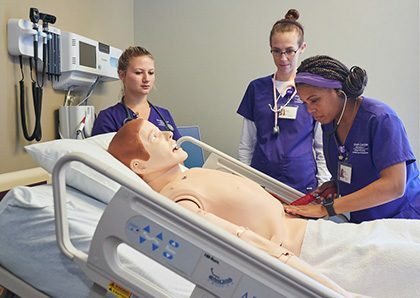 Nursing students have once again proven that GCU prepares them for the field. In the second quarter of 2018, the College of Nursing and Health Care Professions’ posted a 95.65 percent first-time pass rating on the National Council Licensure Examination (NCLEX). That brings the College’s year-to-date rate to 92.86 percent — higher than the Arizona Board of Nursing’s year-to-date statewide average of 91.89. The NCLEX is administered to nursing students after they finish their pre-licensure program and is required before they can obtain their professional license and begin working as a Registered Nurse. The College’s Dean, Dr. Lisa Smith, attributed much of the success to the College’s NCLEX Success Manager, Amy Leach, and countless others who have devoted themselves to preparing students for the exam. DNA necklaces and DNA code bead bracelets just might be the unlikeliest type of jewelry. 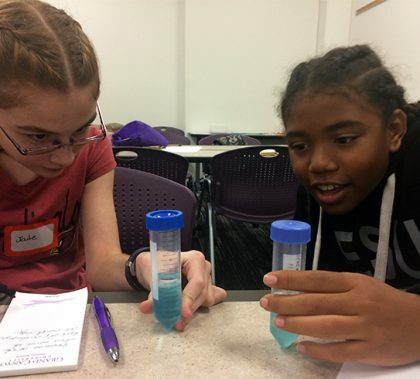 But they were a couple of the academic jewels made by seventh- and eighth- graders Monday at the Thunder Vision Biovision STEM Day Camp. 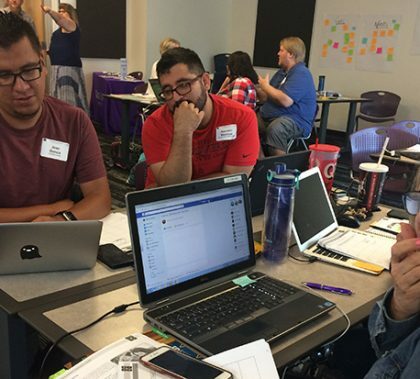 It’s just one of four such camps — the others are Cybervision, Robovision and Technovision — unfurling this week on the GCU campus, courtesy of Strategic Educational Alliances. The camps serve SEA’s mission to support kindergarten- through 12th-grade students and educators while fostering a college culture. You’ll often find Grand Canyon University Costume Designer Nola Yergen and Assistant Costume Designer Sarah Levinson in their rabbit hole — GCU’s Costume Shop on the second floor of the Media Arts Complex. They’re gearing up to start work on “Ring Round the Moon,” the theater department’s first play for the 2018-19 academic year. 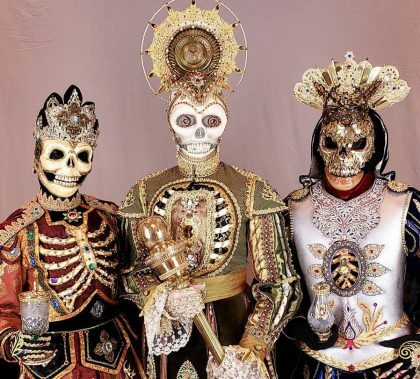 But they also ventured to Costume-Con this summer, winning two Best in Show awards for their “Alice in Wonderland”-themed costumes and their catacomb saints entry. If you sign up for GCU’s Summer Dance Intensive, you better be prepared to dance. The 40-plus students who are part of this year’s immersive weeklong series of classes taught by GCU instructors are in the studio for more than six hours a day learning everything from contemporary and world dance to improv, ballet and hip hop. The terminology might sound the same, but when it comes to “nonprofit” and “not-for-profit,” there are subtle differences between the two. 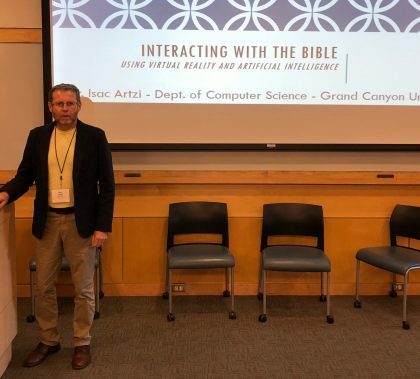 So when it comes to referring to Grand Canyon University, it’s important to use the correct terminology: We are a nonprofit. 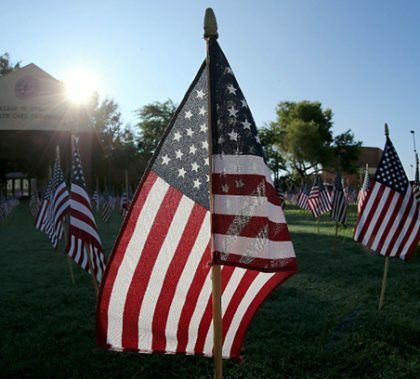 Members of the GCU community — a student, a faculty member, an online staff member, a campus staff member and an academic leader — reflect on the meaning of Independence Day and describe how they will celebrate with family and friends.